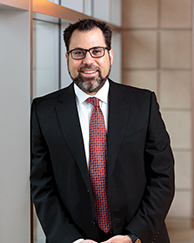 Dan Adelman is a leading expert in business analytics, helping firms and institutions deploy data and decision analysis to build world-class strategic and tactical management capabilities. He conducts research on foundations of the operations research field, as well as studies the link between operational performance metrics and financial performance. Recent projects include work on the electricity smart grid, gasoline supply chains, software-release planning, and healthcare delivery. He leads the Healthcare Analytics Laboratory at Chicago Booth, in which teams of students work on real-world projects with providers to improve healthcare delivery through the analysis of large datasets. The lab has conducted projects in population health, hospital readmissions, bundled payment reimbursement, case mix optimization, hospital scheduling, nurse benchmarking, and others. He also serves on the faculty advisory board of the newly created Harry L. Davis Center for Leadership. He publishes regularly and holds editorial positions in leading academic journals, including Area Editor for Operations Research, the flagship journal of the field. He teaches regularly in Chicago Booth's Executive MBA Program. Adelman received a PhD in Industrial Engineering and Operations Research in 1997 from the Georgia Institute of Technology, where he also received a bachelor's degree in industrial engineering and a Master of Science in Operations Research. He is a recipient of the George B. Dantzig Prize for the best dissertation in any area of operations research and the management sciences that is innovative and relevant to practice. Adelman joined the Chicago Booth faculty in 1997. Management analytics; revenue management and pricing optimization; supply chain management, production, inventory, and logistics; approximate dynamic programming; operations strategy and performance analysis; internal pricing mechanisms for operational control; innovation and technology management. C.E. Tabit, M.J. Coplan, K.T. Spencer, C.F. Alcain, T. Spiegel, A.S. Vohra, D. Adelman, J. Liao, and R.M. Sanghani. “Cardiology Consultation in the Emergency Department Reduces Re-hospitalizations for Low-Socioeconomic Patients with Acute Decompensated Heart Failure,” The American Journal of Medicine, 2017 Sep; 130(9):1112.e17-1112.e31. Adelman, D. and A. Mersereau. "Dynamic Capacity Allocation to Customers Who Remember Past Service." Management Science, Volume 59, Number 3, March 2013, pp. 592-612. Adelman D. "Dynamic Bid-Prices in Revenue Management," Operations Research, 55 (2007). Adelman, D. and D. Klabjan, "Duality and Existence of Optimal Policies in Generalized Joint Replenishment," Mathematics of Operations Research, 30 (2005).